Your gutters are old cracked and leaky everywhere. Some of them are even missing or so far beyond repair that there is just no way around it the fact that you need new gutter installation service. After our careful inspection and free estimate of services, Naperville Gutter Pros is at the ready to provide you with high quality gutter installation work. You no longer need to fear heavy rains that bring endless leaks and the possibility of mold and mildew. Issues like ice dam removal will be a task of the past and you will be left with a protect home that can face the onslaught of fallen leaves, dirt settling into your gutters and heavy snow fall melting because your new gutters can withstand the challenges that seasonal weather brings. The role of gutters attached to your home is vital if you expect protection from moisture and water. Gutters act as part of an extensive drainage system around your home to keep water from seeping into your brick facing, and keeps your siding from suffer from issues like mold and algae. 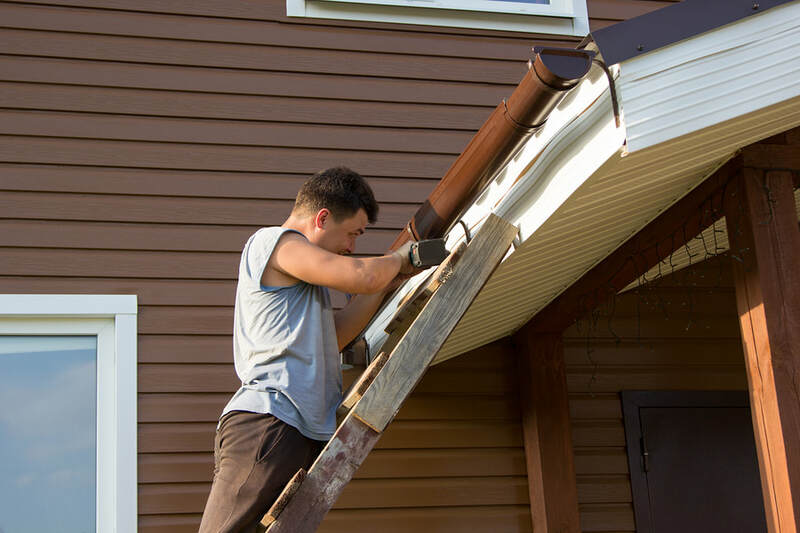 Our region is constantly hit with snow and rain that can easily over time damage the structure of your home if your gutters are not fully functioning. As a gutter installation company, we equip homeowners with top rated products that prevent moisture damage that can cost thousands of dollars if left unattended. It’s one thing if your gutters have detached from their anchors or your downspout is off center. Those are issues that likely call for repairs. However if your gutters are cracked and broken, it’s seriously time for new gutter installation. We conducted seamless gutter installation that can save the integrity of your home and prevent the heavy toll that rain and snow take on the sides of your house. Cracks and fissures in your gutters that have been present a long time are a sure sign that you likely have moisture and water damage elsewhere that needs consideration. A good start in restoring your home is by conducting gutter installation by Naperville Gutter Pros. You may have imagined that selling your home is easy, but curb appeal has a significant effect on whether potential buyers will look and stop or keep driving past your home in lieu of a more attractive property. Your gutter installation can increase your home’s curb appeal as well as its market value. Broken and cracked gutters with peeling paint are unsightly and detract from the elegance of your property. Even if you have no intention to sell your home for years to come, your gutter installation still matters. Our gutter installation is accurate the first time around and serves to protect your home long term from moisture and mildew. If you’re keen to use a gutter installation service that offers affordable prices for labor and top rated products that last, our gutter contractors are the service providers to call. We are a fully licensed, insured and bonded gutter installation provider with decades of experience to provide you with the feedback and advice you need to ensure you are making accurate decisions for all your gutter installation needs.